On Windows 10, apps runs in the background to take advantage of the OS features, including the ability to download data, show toast notifications, and fetch information to display up-to-date updates in their Live tiles in the Start menu. However, having many apps running in the background can eat up valuable resources and waste power. 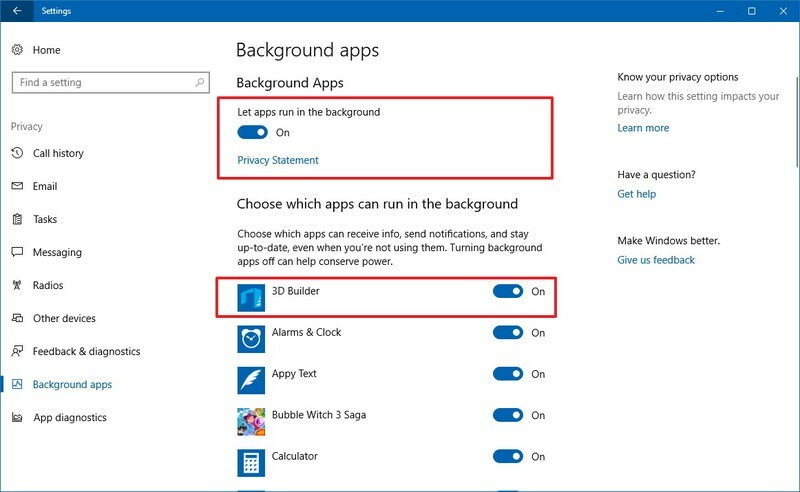 By default, Windows 10’s Modern apps can run in the background on your PC. 1. Open Settings > Privacy > Background apps. Turn off the Let apps run in the background toggle switch to disable all apps acquired from the Store. Turn off the toggle switches for the specific apps you don't want to run in the background. 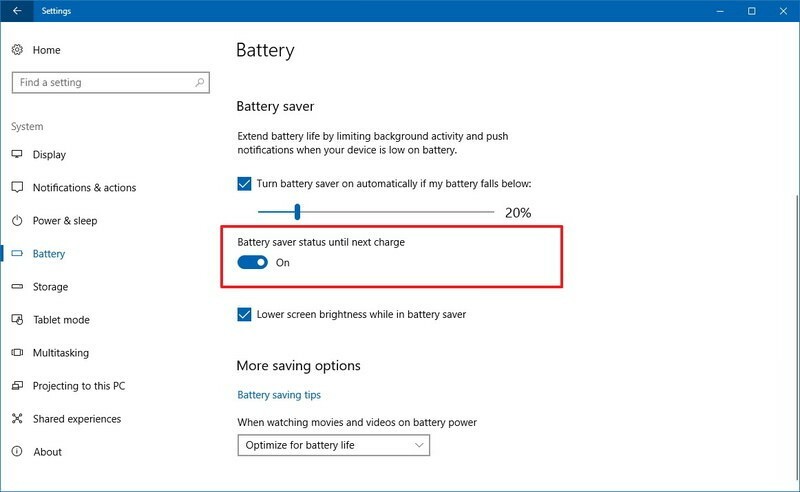 Once you complete these steps, the Windows 10 apps you configured will no longer run in the background, and it'll help to conserve power, bandwidth, and system resources. You can also turn on Battery Saver mode, which also blocks apps from running in the background. This feature activates automatically when the battery charge drops below 20 percent, but it's also possible to enable the mode manually if the device isn't plugged into a power source. 1. Open Settings > System > Battery. 2. Under "Battery saver," turn on the Battery saver status until next charge toggle switch. Another way to activate battery mode includes clicking the battery icon in the notification area and clicking the Battery saver button. chat_bubbleslow running caused by malware?